Mariona Moncunill (Tarragona, 1984) lives and works in Barcelona. She has a BA in Fine Arts and a MA in Cultural Management by the University of Barcelona and is currently doing her PhD at the Universitat Oberta de Catalunya. Her work departs from the very context in which artistic production develops: a dense network of conventions that weave their own meaning. Against this, She strategically positions herself in a secondary role to analyze and lay bare the convention and the construction of discourse. This analysis allows to extrapolate the construction of meaning and the generation of value to other discursive fields: From the exhibition space and the viewer’s relationship to media, to infographic journalism, social work through the social work of a bank, the management of knowledge of a library or the construction of the idea of nature. 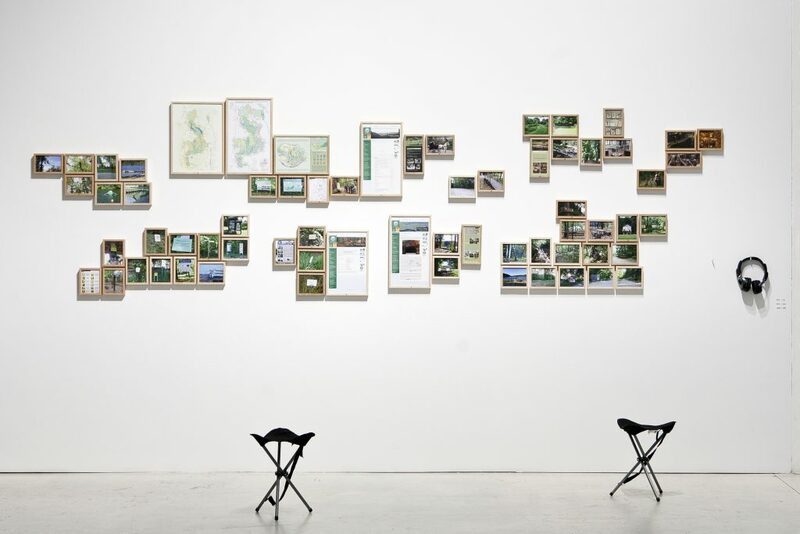 The processes of negotiation and dialogue with all stakeholders, the play between reality and fiction, mimicry, infiltration, speculation, ambiguity and especially specificity are some of the distinguishing features of her work, which is often formalized in aniconic and camouflaged form. Her work has won awards including the 2014 Generation Award (2013), Ramon Acin Art scholarship (2011), Scholarship for Artistic Creation , Fundació Coranty Guasch (2010) and the Miquel Casablancas Prize (2008). She has also received grants for residency at HIAP (Helsinki, 2013) and Rupert (Vilnius, 2013). She has exhibited individually and collectively in the Espai 13, Fundació Joan Miró (Barcelona,2012), in the Convent dels Angels MACBA (Barcelona,2014), the Espai Cultural Caja Madrid (Barcelona,2010), Gallery Augusta (Helsinki,2013 ), Centre d’Art lo Pati (Amposta, 2013) or Arts Santa Monica (Barcelona,2013) among others. Forest Forest is a research about three spaces/organizations in Vilnius with a strong physical and symbolic link with the forest: The Verkiai Regional Park, UNO Park (an adventure park in the forest), and the Vilnius University Botanical Garden. These three places contribute in many different ways but with strong similarities to the creation of the forest as a cultural construction, the creation, dissemination and management of the symbolic value of the forest and the conceptualization and argumentation of the forest as symbolic and narrative space. In short, they are mediators of the physical, symbolic and intellectual experience of the forest. The project is formalized as an installation of fotographs, documentation and an audio.